Expand your education library with on-demand learning opportunities. 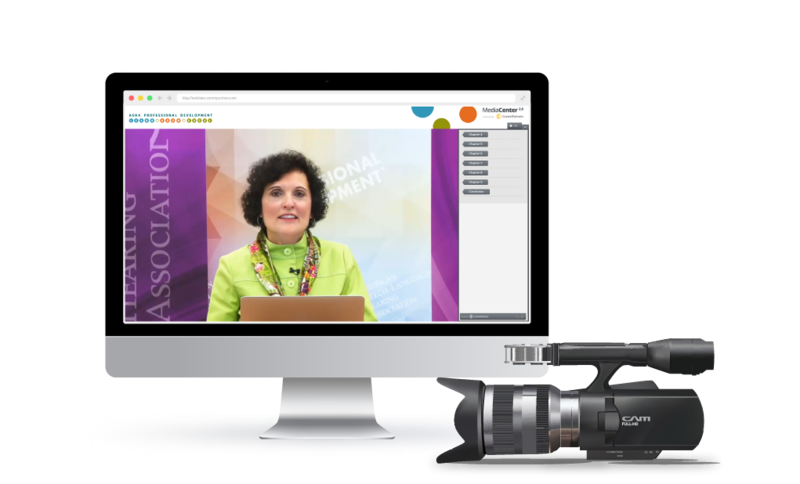 Let us Record Your Conference Sessions and Produce On-Demand Learning Opportunities for Your Growing Online Education Library. Meeting and education planners spend months procuring keynote speakers, organizing education tracks and collecting posters for their in-person onsite conferences. Increase your reach and attendance beyond those who could attend live, by leveraging post-event recorded session webcasts. Let us record the audio, video session content and combine them with bios, resources, discussions, credits and deliver it, online, via our Elevate LMS platform. Timeliness: You can market and deliver your conference proceedings within days. Hosting Through Elevate LMS: Content can be sorted and presented by conference, category or member role. Each session is tagged for simple searching by title, keyword and interest. Conference Proceedings: Elegant, easy-to-use Proceedings enable attendees to quickly access the presentations in full color. We can include videos, audio, and other materials. On-site Audio/Video Recording: We ensure a seamless and unobtrusive recording of each presentation. Attendees can experience the slides and audio on laptops, iPods, and smartphones. Slides Synchronized with the Presenter’s Audio/Video: Our advanced proceedings feature the slides automatically advancing as the audio plays. Attendees can listen anywhere on laptops, mp3 players, and smartphones. Our experienced technicians ensure the highest possible quality by constantly monitoring the recordings. The synchronized presentations can be re-distributed very quickly to attendees. Turn-around times are generally quick and can be as fast as 24 hours.